Good sun protection is worth more than gold. It offers me vital protection against damaging effects of UVA and UVB lights, decreasing my chances of getting a melanoma, hyper-pigmentation and sun-induced premature skin-aging. Throughout the whole year I use day creams with SPF for my face and during the warmer days, I layer on a proper SPF product when my skin is more exposed. However, as with everything in life, moderation is key. 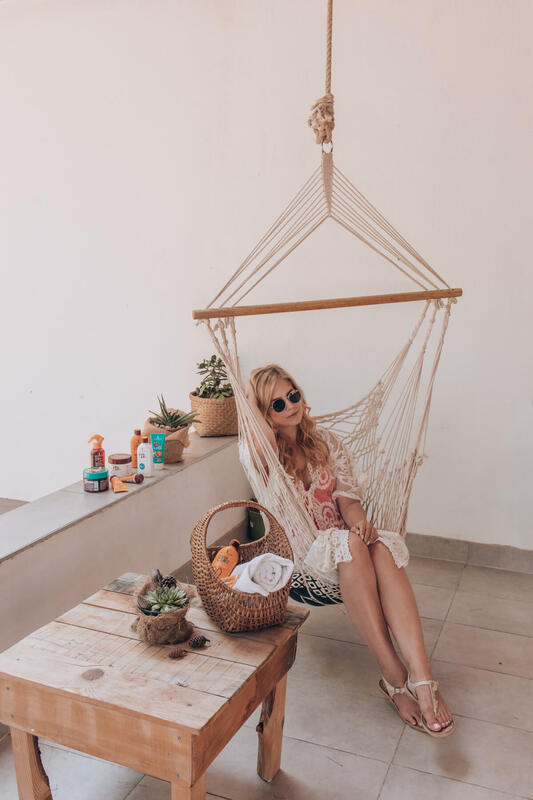 I try to do my best to protect my skin, I apply SPF multiple times a day, but I don’t obsessively hide in the shade and let the worrying take up too much of my time and energy. I consider myself a big consumer of products with SPF, however, my boyfriend (well, as from now on, fiancée) Jan takes the cake in this regard. Not only for being much taller than me, but because he also spends large amounts of time in the sun. 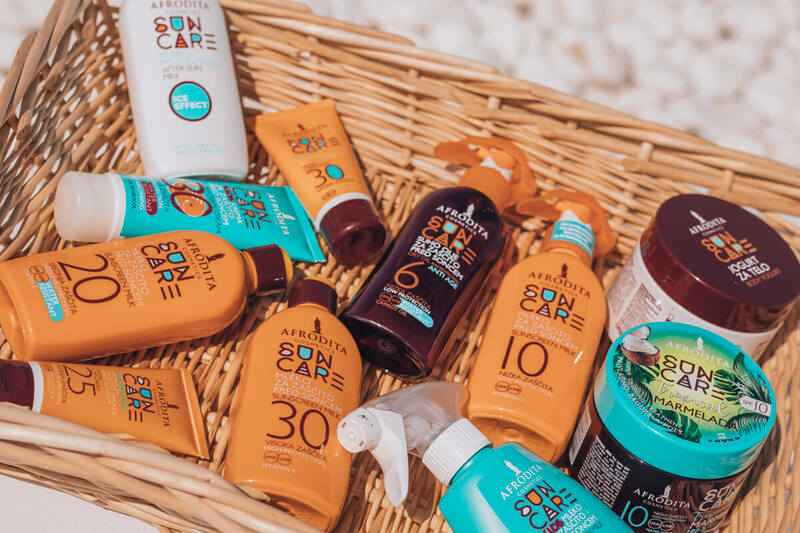 Each year we test a handful of products with SPF, this year being no different. 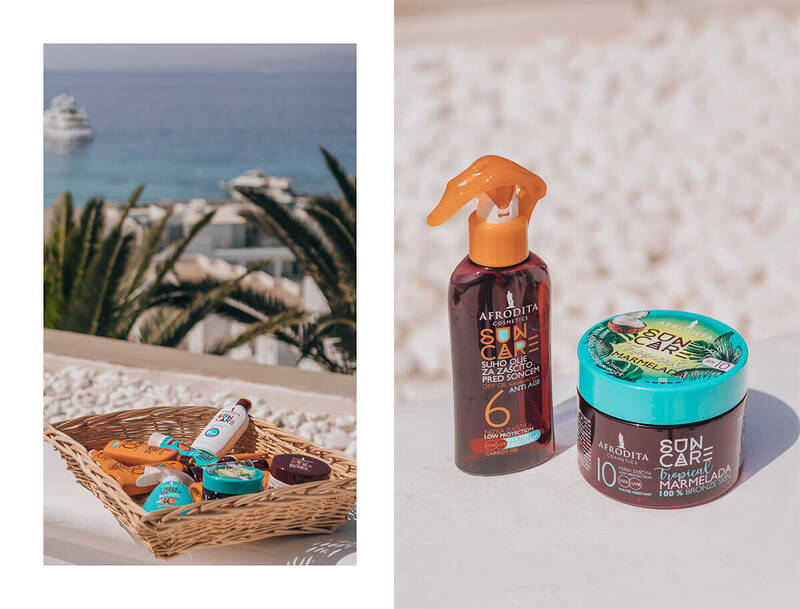 For the second year in a row, we swear by the products from sunny line of Sun Care Cosmetics Afrodita (we also took them on our trip to Thailand), so here I am sharing our favourites. Afrodita offers two creams that are my favourite facial sunscreens. They spread nicely and work great as a good base for applying makeup (even though I avoid tons of makeup during the summer, I still wear makeup for photoshoots or special events). 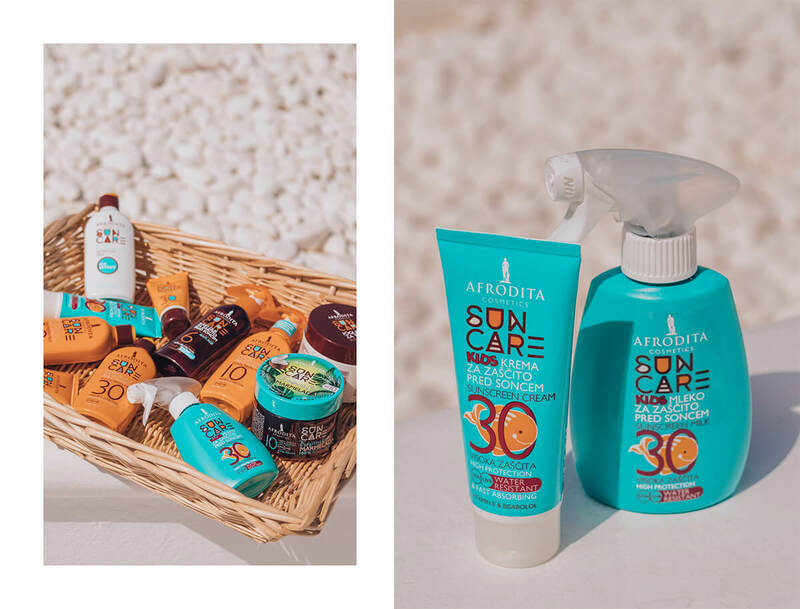 The Afrodita Sun Care Sensitive SPF30 sunscreen is my favourite facial SPF sunscreen because of its moisturizing effect and the protection that it offers me. The second one, Afrodita Age Defence SPF 25, is also great. It has a lighter texture than the first one and it is more suitable for sports and people with oily skin. I recommend both and Jan agrees! Do you know how much SPF to apply for enough protection? A LOT. In order for protection to be suitable to the factor written on the packaging, you have to apply 2 milligrams of cream on each square centimetre of skin (cca. 30 ml per person). That’s quite a lot. Be careful to apply it evenly on the skin and all over the body areas you want to protect. 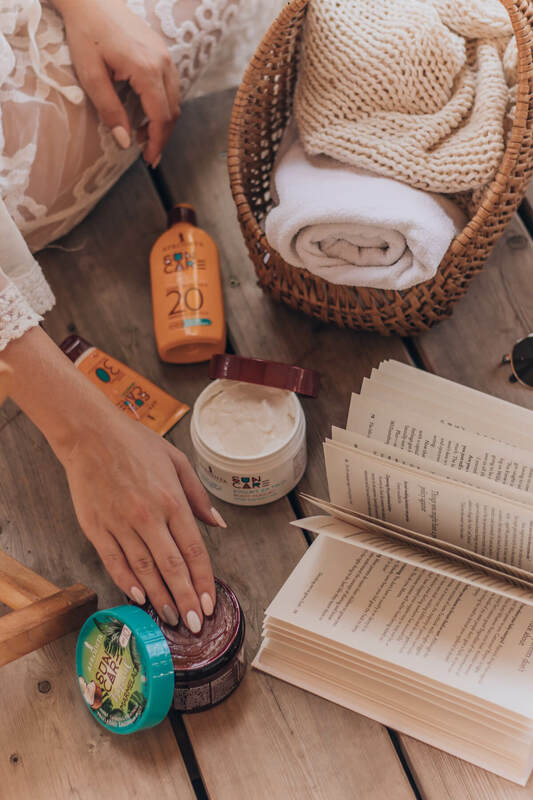 How to find your SPF body cream “match”? Mainly by trying. And by reading a beauty blog post that is informative. I don’t even pay attention to sunscreens with a low SPF. It must have a factor of at least 20 or, better yet, 30 or 50. I don’t like thick formulations that are difficult to apply on the body and I also tend to avoid those with classical packaging in a spray bottle. Afrodita has a bonus point here, with a compact and practical packaging. 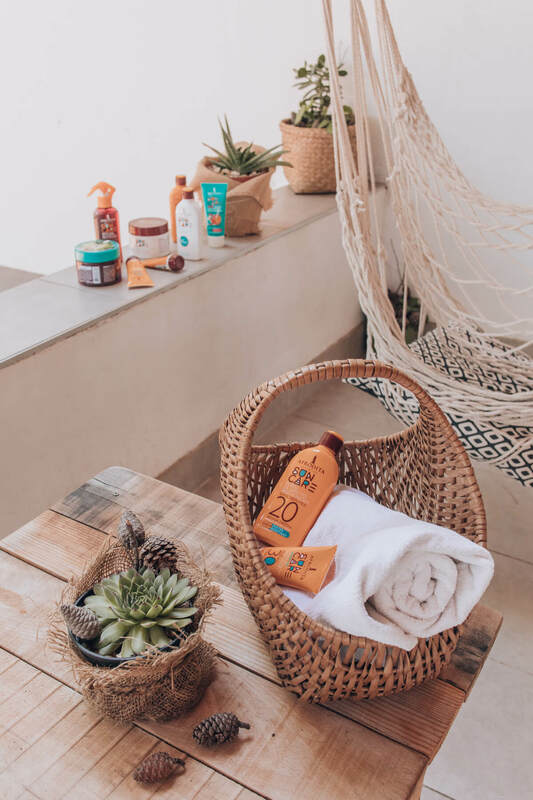 The Afrodita Sun Care SPF20 body milk is water resistant, so Jan uses it for outdoor activities. SPF30 is my most used version, always with me in my bag! Both children editions also have SPF30 and I warmly recommend them, also for adults since they’re both water resistant. 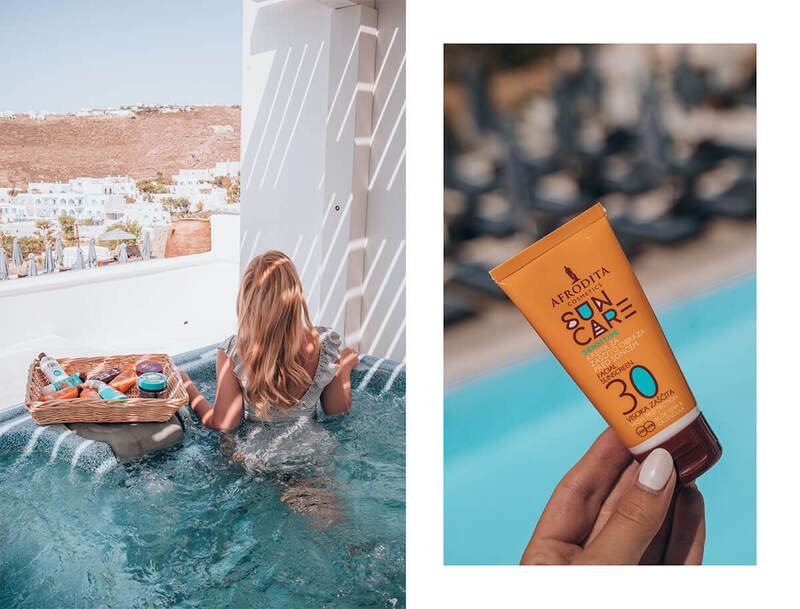 For all the travel bugs reading this, you’ll appreciate the Afrodita Sun Care Kids cream SPF30, since it’s one of the rare creams with a SPF which you can take with you in the hand luggage on the plane (it contains exactly 100ml of the product). With its thicker texture it’s still easy to apply. 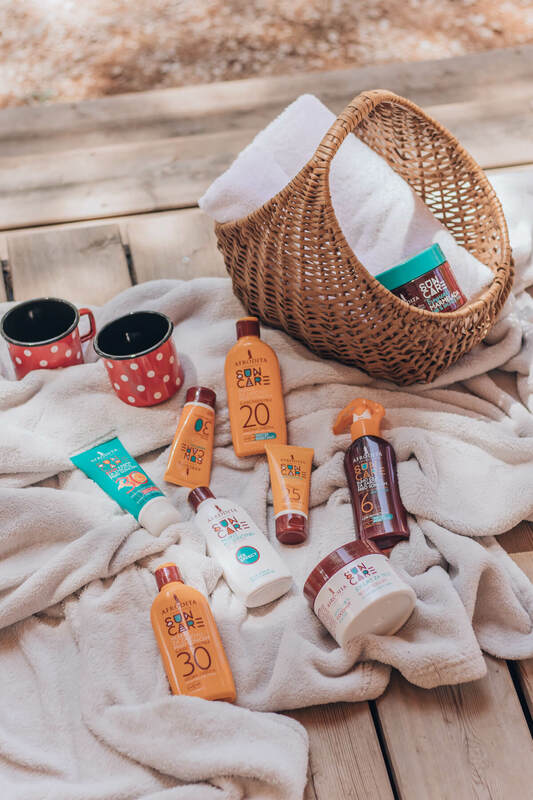 The second product for child skin-protection is Afrodita Sun Care Kids body milk SPF30, which is lighter and quicker to absorb. 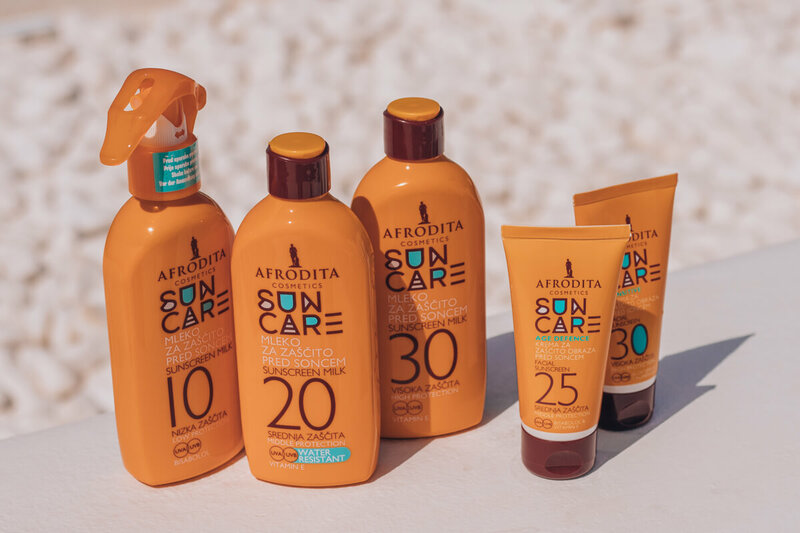 The smell of all Afrodita sun protection products is gentle with a touch of coconut, one of my favourite smells. I still got burned … what to do? Ok, despite trying not to, you got sunburned. I understand. 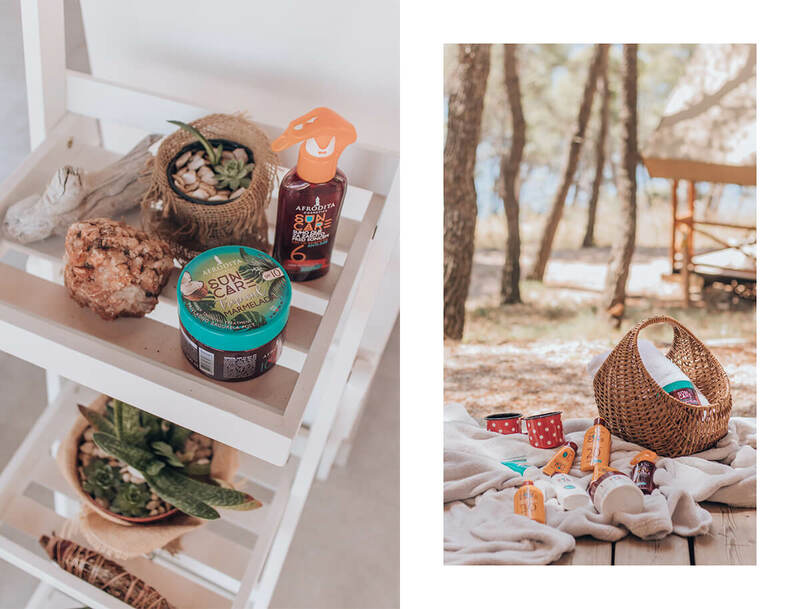 Our grandmothers would put yogurt on the burned area and today the process is quite similar – the only difference is, that we use a special yoghurt, produced in the laboratory of Afrodita Cosmetics. Afrodita Sun Care Body Yogurt is in my opinion, one of the best Afrodita products. It contains coconut water, shea butter and dog rose oil, which moisturizes the skin and nourishes it. I use it as a nourishing body product. Texture, smell, effect – heavenly! Afrodita also has an additional product, Afrodita After Sun, which has a cooling effect and contains aloe vera and provitamin B5. This one was Jan’s, so he doesn’t steel my Yogurt haha. Infamous Jam (marmelada) was an instant hit in Slovenia when it came on the market. It instantly sold out and presented an important milestone for Afrodita. Of course, I was as eager to try it out like everybody else, so I tested the marmelada, which promises an intense tanning effect. It has a really rich texture, so I also use it on the dried areas on my legs. I warn you not use this product prior to going to sleep, because it will leave brown stains all over the sheets. For afternoon outings I used a bit of dry oil Afrodita Sun Care Bronze Jam. However, my Jam fever really started this year, with Afrodita launching a new, tropical jam. 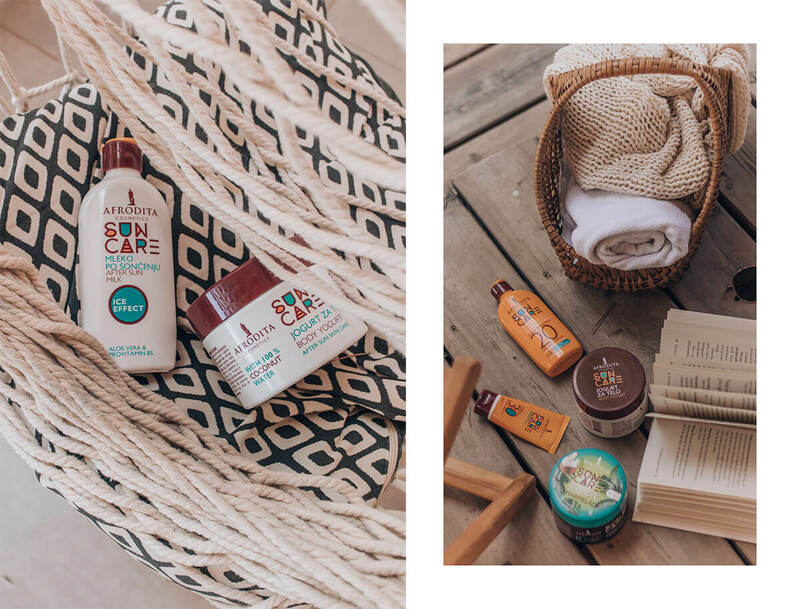 Afrodita Sun Care Tropical Jam contains SPF10 and a wonderful mixture of 100% organic coconut oil from the Philippines, shea and cocoa butter and carrot extract. The texture is very similar to the classical jam, only chunkier and easier to apply. In smells incredible and my skin wholeheartedly approves. However, I would like to point out that you must be really cautious with products that are promising fast tan. Definitely combine them with sunscreens with SPF and do not exaggerate with sunbathing. Tanned skin is not constant, but our skin is.